Compressor is a machine which increases the pressure of a fluid by mechanically decreasing its volume (i.e. by compressing it). (The fluid here is generally air since liquids are theoretically incompressible). Compressed Air is often described as the fourth utility, although not as ubiquitous as electricity, petrol and gas, it plays a fundamental part in the modern world. The importance of compressed air is often over looked, but in reality it plays a vital part in most modern manufacturing processes and modern civilization. Although we may not realize it most products we use today could simply not be made without compressed air. Compressed air accounts for about 10% of the global energy used in industry today. With so many applications in different environments being dependant on compressed air, the compressors not only have to compress the air to a specific pressure, at a certain flow, it has to deliver air of the right quality. To most people, a compressor is all that is required to compress air, but to obtain the right quality of the compressed air, more equipment is often needed. Filters and dryers are often needed to remove oil and water before it reaches the application. Compressed Air has a range of completely oil-less compressors where air comes into contact with the process it serves and so the quality is critical, for example in where a compressor may be used in a food packaging role. Screw compressors: Trailer mounted diesel powered units are often seen at construction sites, and are used to power air operated construction machinery. Atomization use compressors of required capacity. 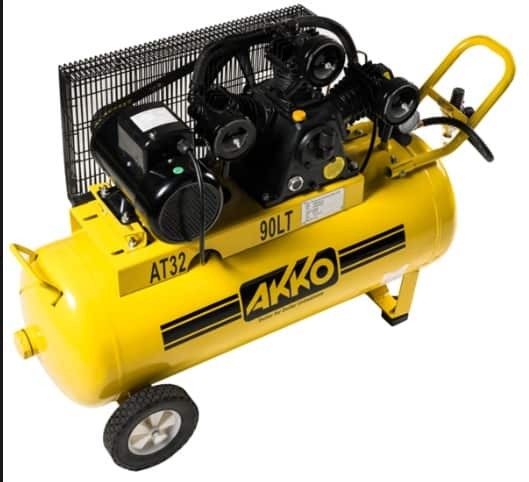 Air compressors: a compressor that takes in air at atmospheric pressure and delivers it at a higher pressure. Compressors serve the basic necessities & form an integral part of the company .